it has been a while since I last posted a recreated background. besides that I realized I had never shown any artwork from THE TELL-TALE HEART. 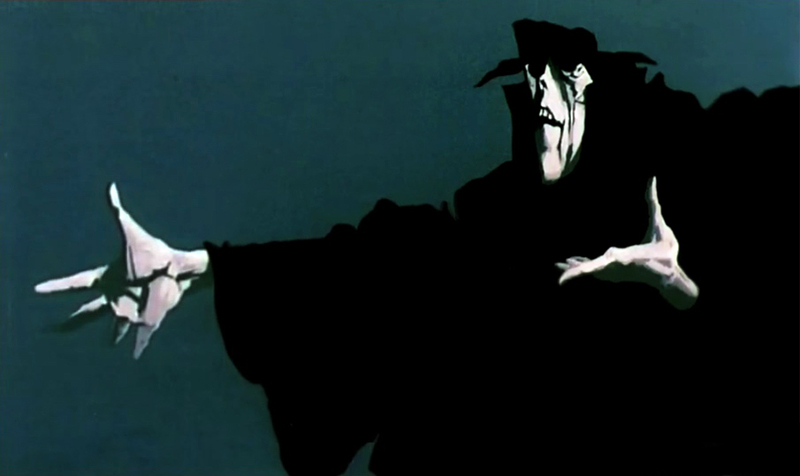 this animated short based on the EDGAR ALLAN POE short story was produced in 1953 by UPA and directed by TED PARMELEE, narrated by JAMES MASON. 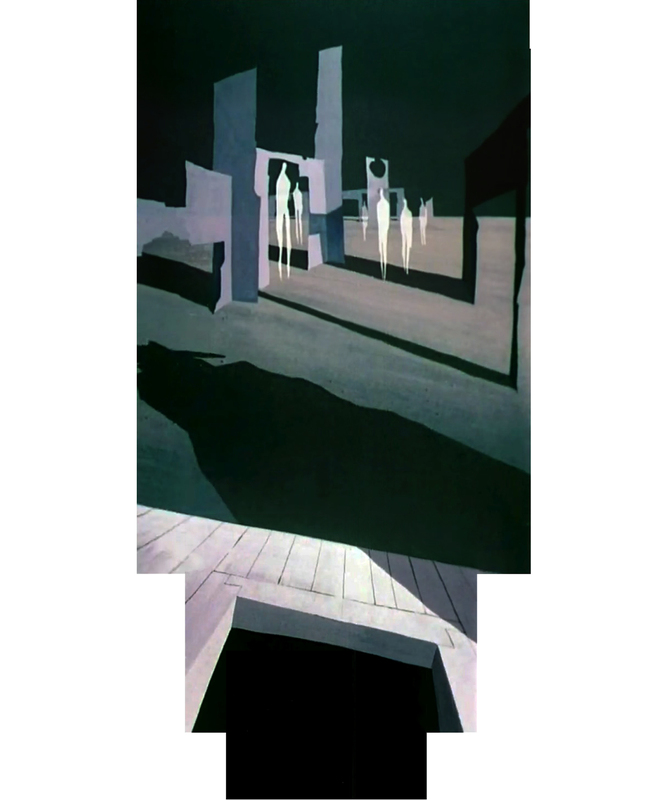 PAUL JULIAN, master designer and painter, was responsible for all the backgrounds in this film, as well as the color-styling. 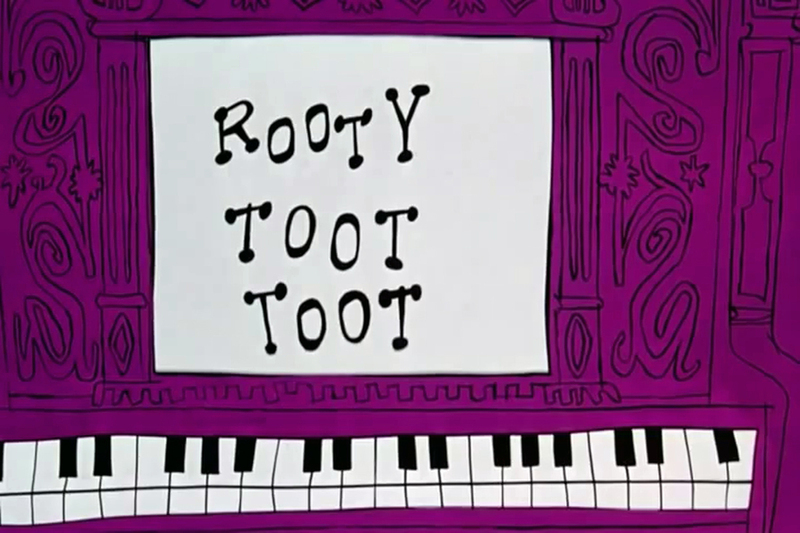 the film was nominated for an academy award but lost to disney’s TOOT, WHISTLE, PLUNK AND BOOM, nevertheless it is a true masterpiece. below now the first recreated pan from the film. 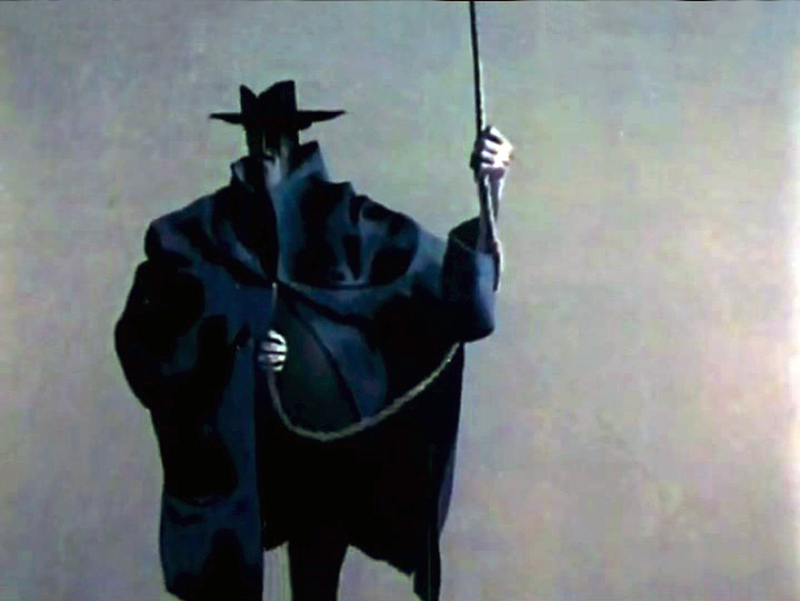 december 2009 I published the first post about THE HANGMAN. 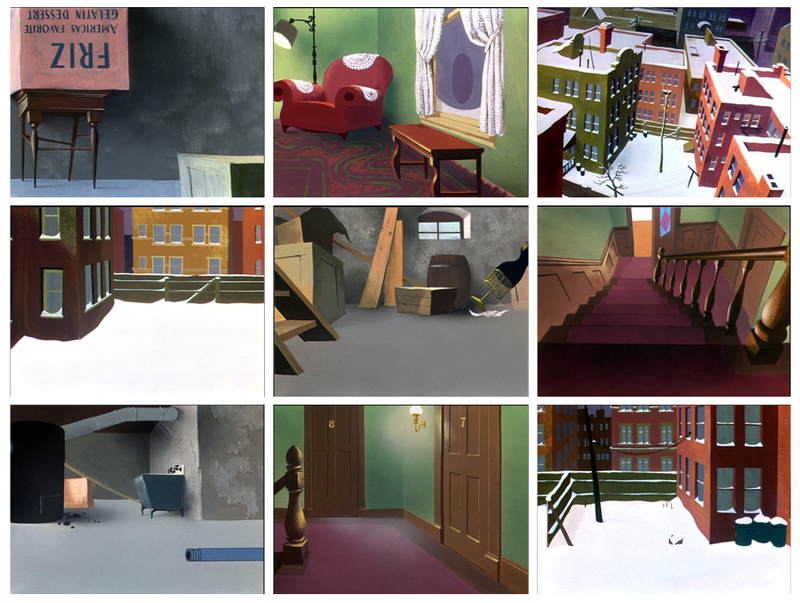 recently I found a print of the short in a decent quality and started to recreate some of the longer backgrounds. 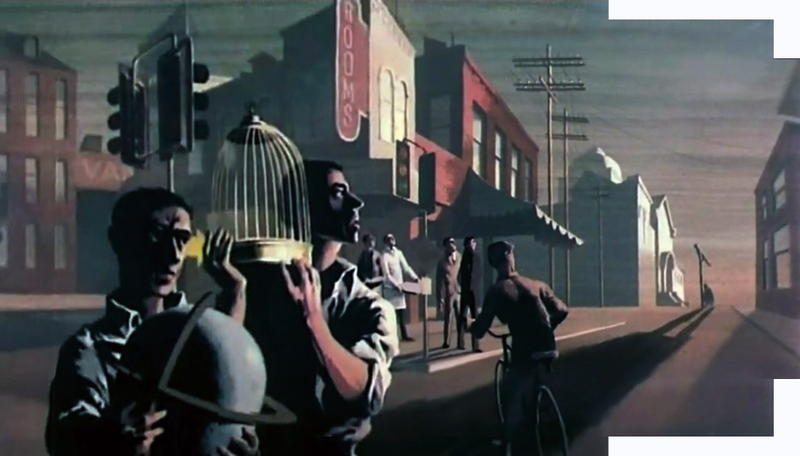 LES GOLDMAN and PAUL JULIAN produced the 11 min short in 1964, PAUL JULIAN painted all the backgrounds and character-stills of the film. as you will see in a series of upcoming posts, his paintings are true masterpieces. 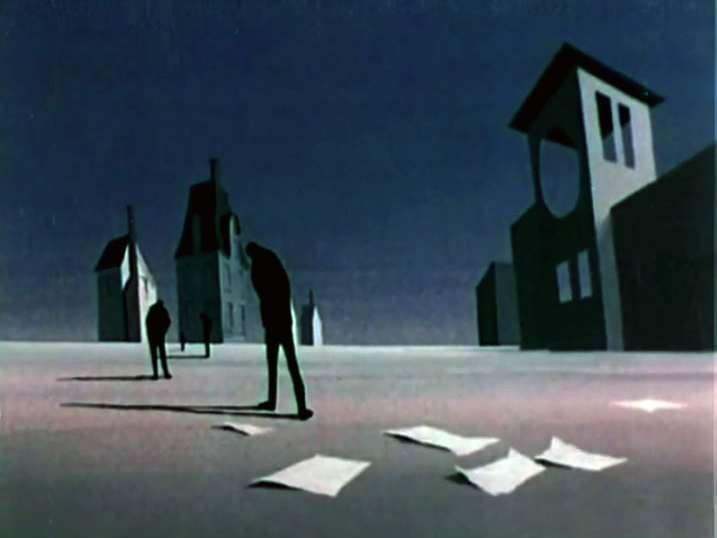 for UPA and the short THE TELLTALE HEART JULIAN developed a very unique style that he used in this film as well, a style that is influenced by EDWARD HOPPER ( 1882 – 1967 ) and BEN SHAHN ( 1898 – 1969 ). warner brothers, sept.22, 1951 – release date for the short TWEETY’S S.O.S. 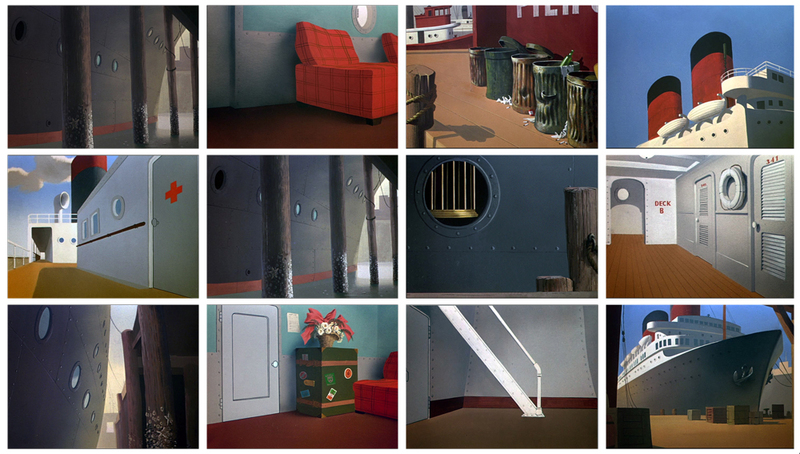 directed by FRIZ FRELENG, the beautiful backgrounds painted by PAUL JULIAN. following some captured scenes and recreated BG’s.